Krista Johnson passes an order to a customer at the Panera store in Brookline, Mass., Monday, March 8, 2010. ST. LOUIS -- Panera is being acquired by Europe's JAB Holding Co. for more than $7 billion. JAB is better known for the growing stable of brands it owns, including a controlling stake in Peet's Coffee & Tea, most of Caribou Coffee Co., Stumptown Coffee and Keurig Green Mountain. 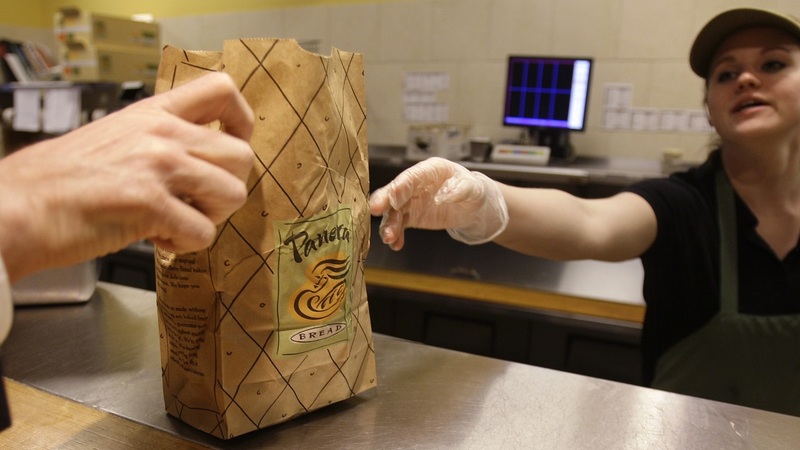 JAB will pay $315 per Panera Bread Co. share. The transaction, which includes approximately $340 million of debt, is expected to close in the third quarter. Panera is based in St. Louis.